Zolotukhin Anatoliy Ivanovich, I live and I work in the regional centre of Ukraine, Mykolayiv. In 1962 graduated from the Mykolayiv shipbuilding institute of admiral S. O. Makarov. From 1962 to 1999 worked at the Central Research Institute “Typhoon”, the last 22 years held a position of the Chief specialist. Now came to a scientific pension. The author of 50 research works in the field of acoustics and turbulence, 26 inventions. In 1980 on the own initiative was engaged, in time, free from the main work, research of life and Homer, A.S. Pushkin and V. I. Dahl’s creativity, and also a solution of the secret of “Tale of Igor’s Campaign”. Surveyed in ten cities of the USSR about 45 archives and the largest libraries. 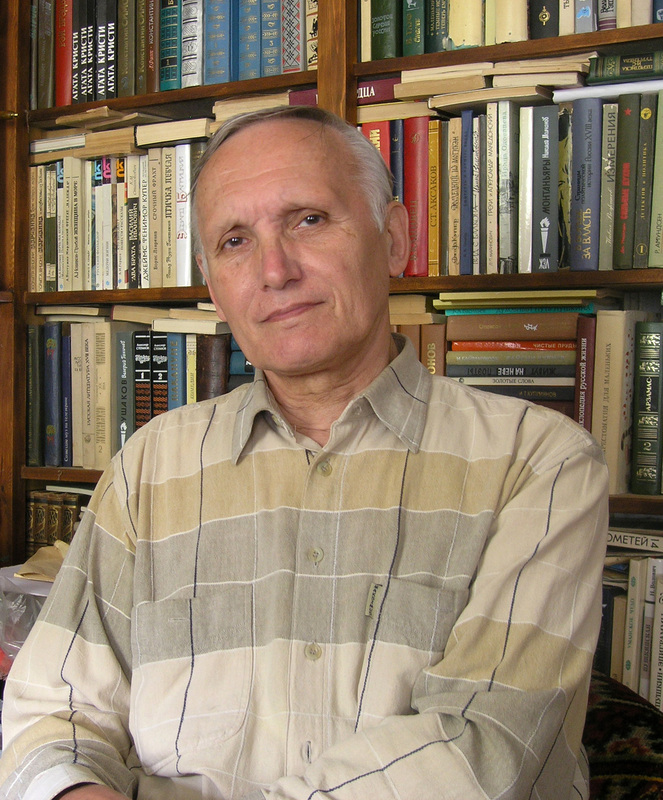 With the assistance of the academician, D. S. Likhachev acted as the initiator of creation of such public organisations, as the Mykolayiv Fund of culture (1987), council for the protection of the architectural and historical heritage of Old Mykolayiv (1989), and Pushkin club (1989). On the basis of my historical information in Mykolayiv are established: – park sculpture (1988) and two memorial boards to A.S. Pushkin (1987, 1999); – memorial board to V. I. Dahl (2001). The initiator of creation and the leader of the first in the Mykolayiv area public ecological organisation “Zeleny Svit” (Green World) from 1988 to 1999. At the creation of the Ukrainian ecological association “Zeleny Svit” in 1989, it was elected the vice-chairman, the famous writer and the diplomat, Yu.N. Shcherbak. Efforts of members of the association which centre scientists of different specialisation were, succeeded to achieve, with the assistance of the population and the ecological public of the country, carrying out the first and USSR’s last environmental assessment of the South Ukrainian Hydropower complex. In 4 months 210 thousand signatures of inhabitants of the Mykolayiv area were collected. All signatures are transferred by me in Mykolayiv regional archive. Then the author in the Kremlin defended and recorded the decision the Resolution of the Cabinet of the USSR No. 647 of August 8, 1989, about the restriction of capacities of the South Ukrainian NPP from 6 to 3 blocks million plus cities and the termination of construction of Konstantinovsky GES-GAES. Thanks to it the river the Southern Bug, a unique Migiysky canyon was rescued from flooding, a set of archaeological monuments and endemic of nature. This experience has no analogues in the practice of the world social-ecological movement. The author of 34 books and more than 300 the articles, including publicist. The philosophical position is stated in the article: “10 Precepts of the philosophy of dynamic dualism”. Basic vital principle: “Belief in yourself and others will believe” (O. Wilde). Long term work on the history of Ukraine completed the creation of a new historical science – of Apokryphologiya. At the beginning of 2017 non-fiction published 10 issues of “Apokryphologiya of history of the Ukraine”. September 14, 2018, was celebrated in 2675 from the birth of our homeland of Homer. It was on this occasion that the presentation of a new book “Ukraine – The Soul and the Heart of Europe! (Apocryphal History of Ukraine)” was timed. The contents of the book are posted in the Announcement of her presentation.